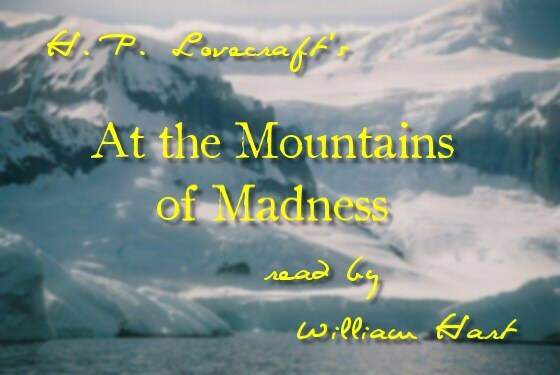 ← H. P. Lovecraft’s, “At the Mountains of Madness” Chapter 09 Read By William Hart Is Now On YouTube! Ten chapters (roughly 87%) down, with two more (roughly 13%) to go, one-at-a-time, until we reach The End. Chapter Eleven is coming very soon. Hang on for more! Trying to record the final three chapters during a rain storm was a whole new challenge for me!